Sometimes you see a set of photos and they just can't communicate what it was like to actually be there. 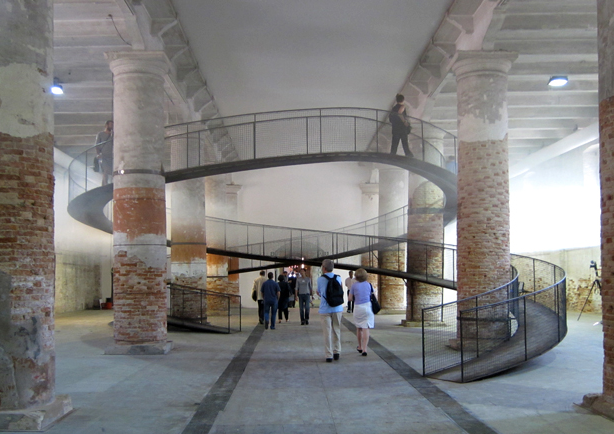 This is just one of those such cases; Cloudscapes, an installation at the Venice Architecture Biennale 2010 is a collaboration between the Japanese practice of architect Tetsuo Kondo and Stuttgart based climate engineering firm Transsolar. Tetsuo Kondo's personal photographer manages to communicate the atmosphere of the installation through his images even better, see my favourite on the LookSeeNow + AllyAsh Tumblr.